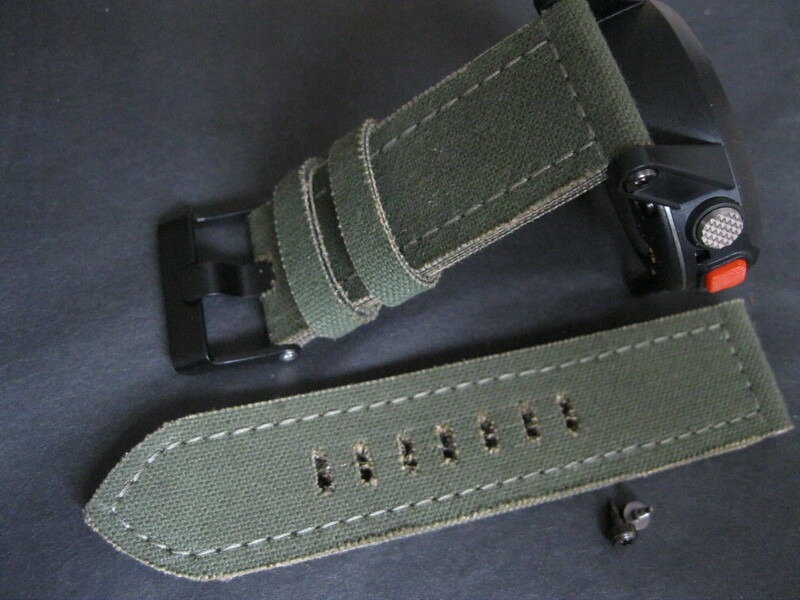 Made from ex RAF G.Q. 60 ft utility parachute deployment bag which was an issued stock and not war reserved. It was serviced at RAF Hullavington, Wiltshire and dispatched to 47 Air Dispatch, RAF Lyneman for deployment from the Hercules heavy drop of RAF support command. 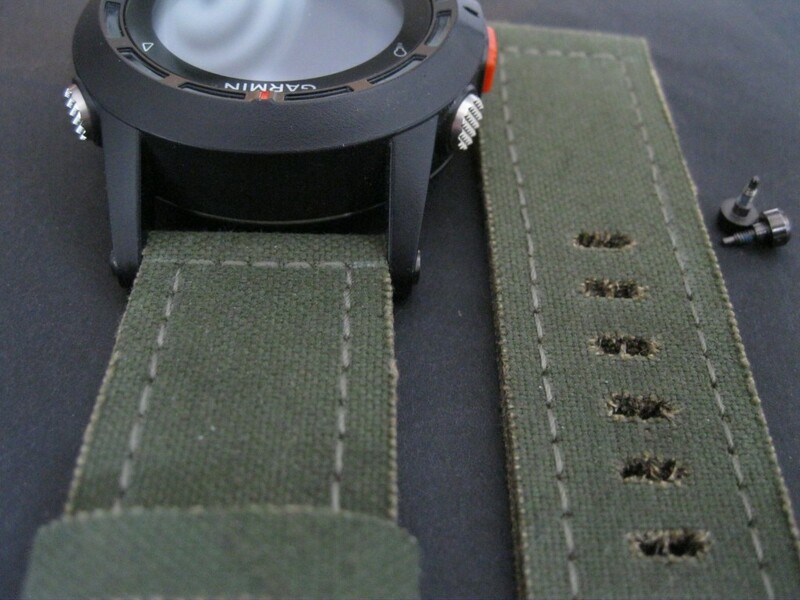 It has four layers which have been bonded together with a flexible bonding agent which makes this waterproof,strong and probably one of the most pliable canvas straps available. Stitched in a khaki thread. There are two canvas keepers. It is made to fray and will do so instantly. 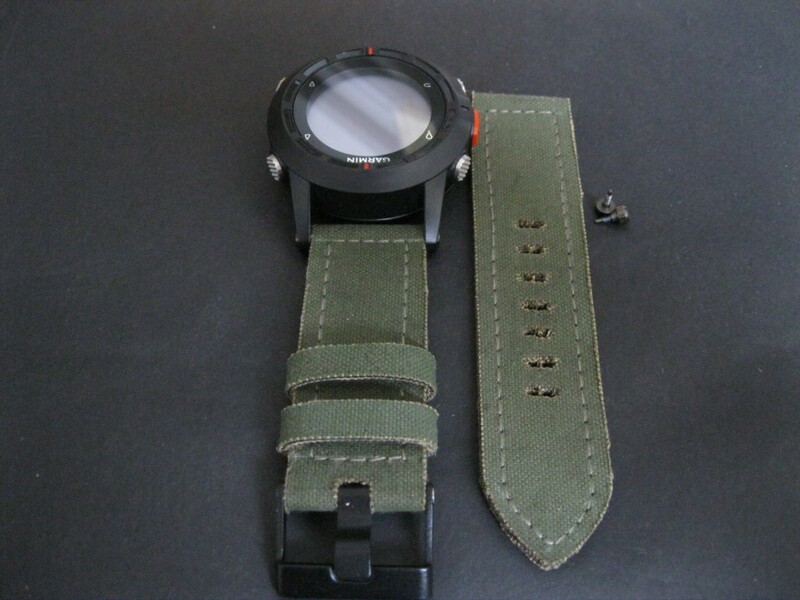 Comes complete with tubes, screws and either black or s/s buckle. £44.00 ( $58.00 USD ) plus shipping.